Facing one of the worst humanitarian crisis of the planet, in Sub-Saharan Africa, a small city is born, with houses, land for sustainable cultivation, vocational skills training, access to clean water and a new life for those who lived in absolute misery. The construction is the result of the mobilization of volunteers from various countries in the world, specially from Brazil, and it was named after the feeling that united them. 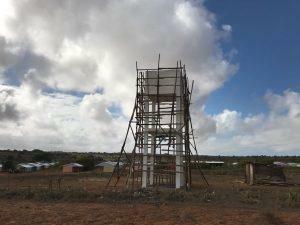 Fraternity City is a project of the international humanitarian Organization, Fraternity without Borders, and it is being launched this month, in Ambovombe, on the south of the island of Madagascar. 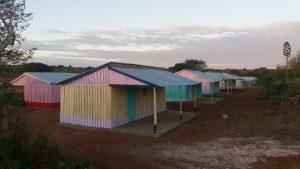 At the 45-thousand square meter donated area, it was built 100 small wooden houses, laundry facilities and shared bathroom. The drilling of an artesian well, with solar energy, is going to supply the houses and the water is also going to irrigate the vegetable gardens and used for agroforestry, a sustainable cultivation system that is going to be implemented by subject-matter experts volunteers. Soon, they will have a sewing and biochar course, the latter will enable traditional coal replacement, which causes several health damages for the families in the area. A family doctor is going to live in the City to take care and guide the community. The daily routine in the city is going to include rights and duties. Everybody is going to produce and contribute to maintaining the common good, with the objective that between 6 months and one year, the families are going to conquer self-sufficiency. The community policies encourage responsibility and a culture of peace. This purpose is shown in many ways, as in street signs with the names of the 16 streets in the City – “hope”, “friendship”, “solidarity” – that express essencial values for the project. A few months ago, this transforming initiative was still a dream. 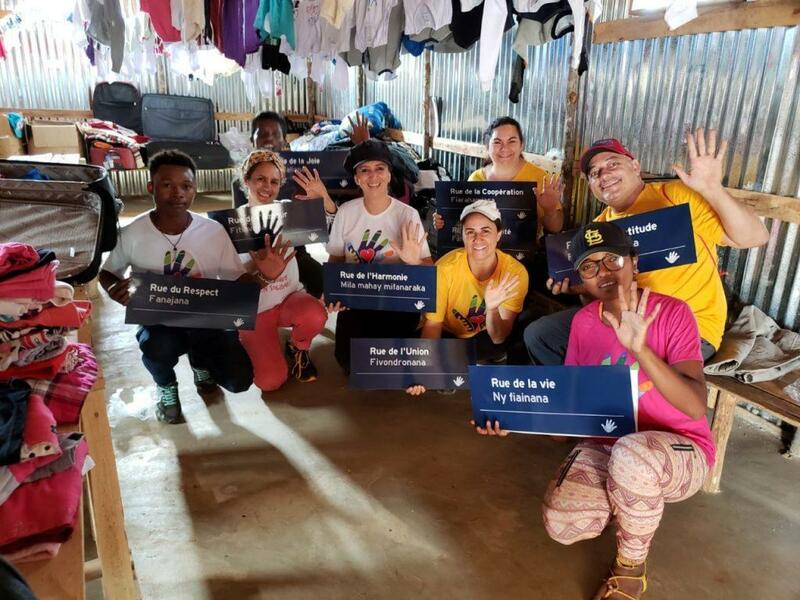 In February this year, a group of volunteers boarded the humanitarian mission organized by FWB to learn about the Brazilian NGO’s humanitarian project in the region. While volunteers got captivated with the reception, they felt how necessary it was to move forward. From then on, the Fraternity without Borders movement launched the campaign for the construction of the Fraternity City, using social medias and the institution website, they announced at events and WhatsApp groups. 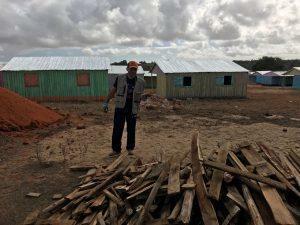 In April, at the II FWB Congress, in Campo Grande, Mato Grosso do Sul state, Brazil, the founder and volunteer president of the Organization, Wagner Moura, announced that the donation numbers had already reached 90% of the total necessary to build the housing. 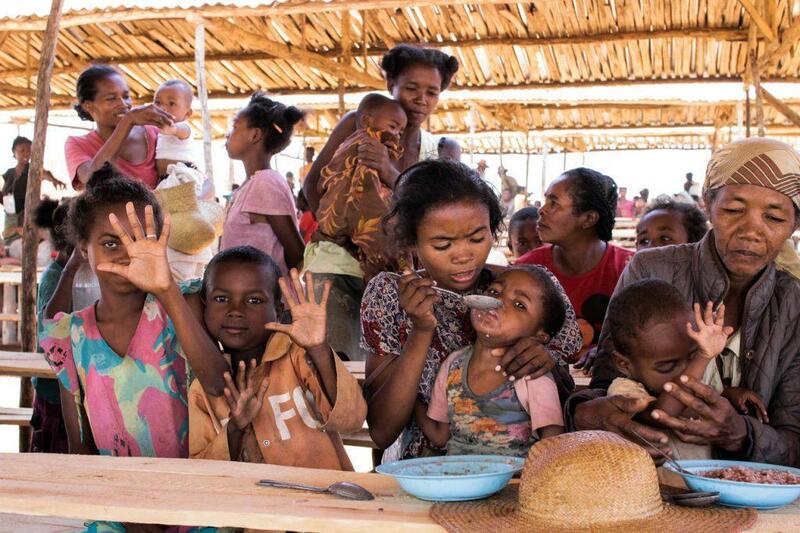 The mobilization succeeded and, in six months, costing R$500 thousand, 100 families – approximately 500 people – are going to cease to suffer from hunger and thirsty, in Africa. 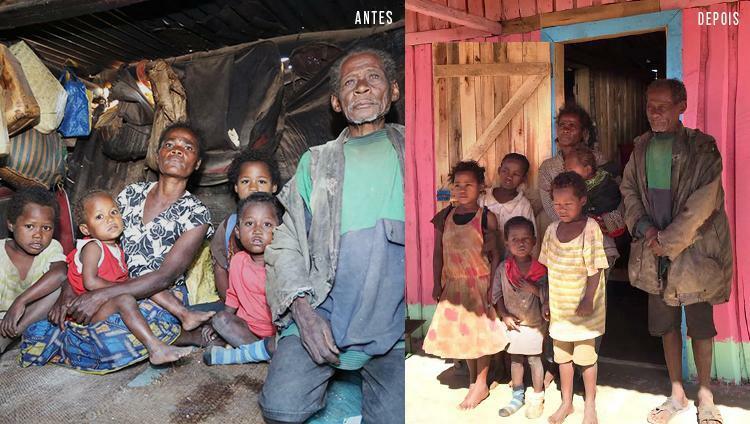 In this July of World Cup, Brazilians, from different states, are on the south of the isle of Madagascar, integrating the humanitarian mission with 35 volunteers who are going to attend the inauguration of the City of Fraternity. 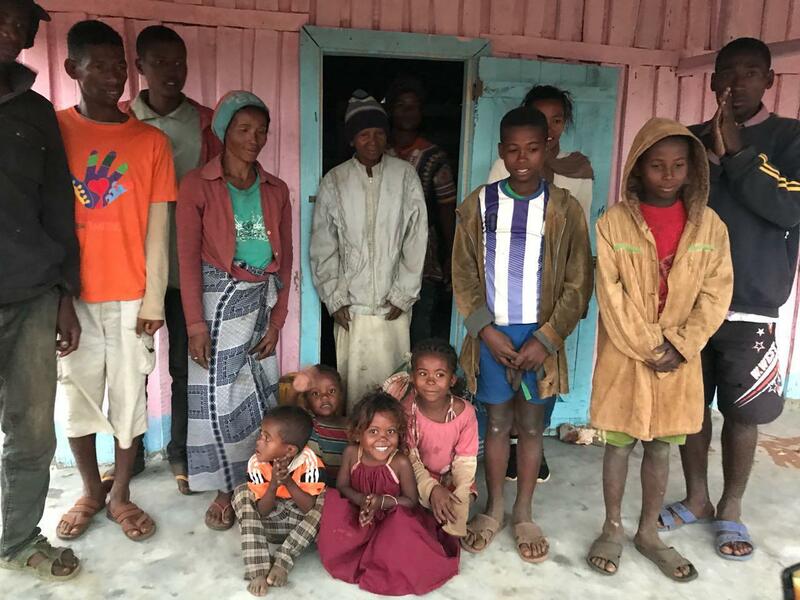 Some of them went there in February, and today, feeling moved, they see the colorful houses, all furnished, standing out with simplicity, amidst an extreme poverty scenario. By observing the City of Fraternity, it is possible to feel, it seems as if it is almost possible to hear, that building a world of peace is achievable. 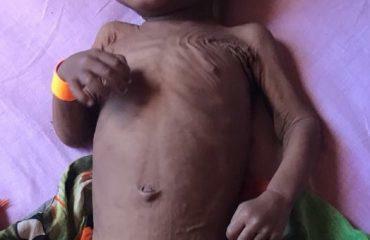 The UN estimates 850 thousand people suffering from hunger and thirsty in the south of the island of Madagascar, located in Sub-Saharan Africa – considered the poorest region in the world. In Ambovombe, we found a moving reality, hard to conceive. People spend up to 60 days without taking a shower. With no access to water, they wait until it rains so they can have personal hygiene. Water in the region has to be bought. Without money, the families drink dirty water, which leads to diseases. With no shoes, the children’s little feet, after many years directly touching the ground, get hurt and contract diseases. Without proper clothes, the children wear rags and they grow wearing the same clothes because they have nothing else to wear. 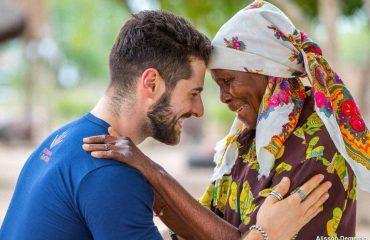 The humanitarian Organization Fraternity without Borders arrived Ambovombe in February 2017, motivated by the news that the south of the island lived the worst humanitarian crisis in the planet. 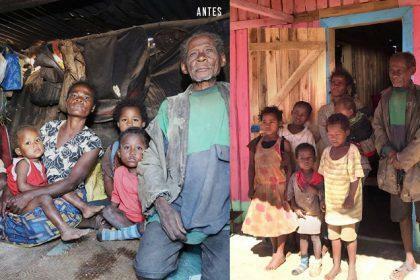 Immediately, FWB started an emergency aid there and launched the project Madagascar Action, inviting people from all the world to sponsor the cause, by donating R$50,00 a month. During this period, with the union of the sponsors, volunteers and supporters, the NGO opened and maintains two units. At the first one, 400 children, who lived on the streets before, begging for crumbs and not studying, are served. Today, they are provided with food, access to clean water and they attend school. The second unit opened by FWB, Field of Peace, serves 3 thousand people daily, specially children and mothers. They are provided with food, they drink clean water, brush their teeth, take a shower and clean their clothes. The families go to the unit at alternating shifts – morning and afternoon. At Field of Peace, it was built a healthcare centre with a pharmacy and a dental office was implemented. Professionaly-skilled volunteers see the families, they are dentists, physicians and nurses. 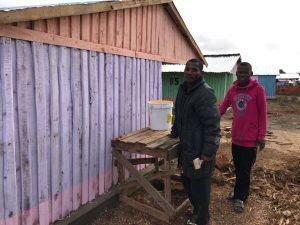 During the humanitarian missions carried every 3 months, besides working at the three centres that there are already there, they are going to see two more villages, one of them is Androhondroho, where one of the structures is going to be used for food distribution and medical appointments. Now, the fraternal movement opened the City of Fraternity, hopping that this model of sustainable project is the first of many on the south of the island.